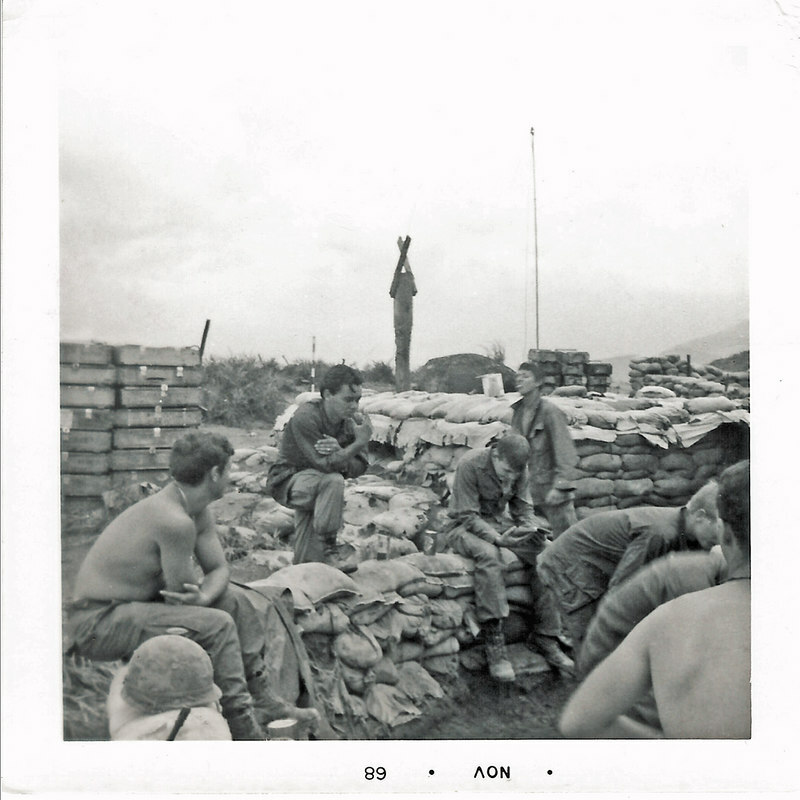 JM105: 4th Platoon grunts around the 81mm mortar #4 at LZ Chippewa. One identifier says on left is Greg Felty, then Rick Tumbleson, ?, ?, and Pat Walker. Another says it's Greg Felty, Rick Tumbleson, ?, ?, Johnny Willard, ?, and ?.